“I’d just like to thank you for delivering a wonderful bathroom renovation. From day one the service was excellent and prompt. An outstanding team of friendly, professional people (Clinton, Shannon, Danielle, Sean, and Neil) made this a seamless process. The level of communication was excellent. Thank you David, we enjoyed working along with you! 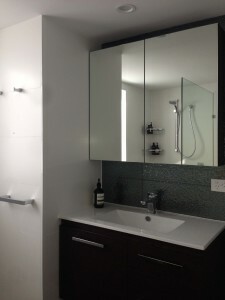 Click here to view more photos of David’s bathroom, plus many other beautiful Brisbane Bathroom Renovations!